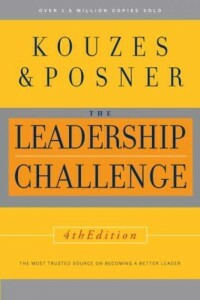 Peter and Pam talk about Kouzes and Posner’s The Leadership Challenge and Leadership Practices Inventory, Wally Bock’s Three Star Leadership Roundup of the independent business blogs and more podsafe music. Does leadership matter? New research says no (and yes) | On Leadership – Washington Post – Joe Frontiera and Daniel Leidl present a roundup of some of latest leadership research. Tagged with Barry Posner, BP Oil Spill, Jim Kouzes, Leadership Practices Inventory, President Barack Obama, The Leadership Challenge, Tony Haywood.